Treon's Realm: The Legend Of Zelda: Wind Waker HD Hits Wii U Fall 2013! The Legend Of Zelda: Wind Waker HD Hits Wii U Fall 2013! Today's Nintendo Direct unleashed a flood of good new for Nintendo fans. First up is the surprise announcement of The Legend of Zelda: The Wind Waker HD for the Wii U which is coming this Fall. The original game was used as a way to transition the development team into the HD abilities of the Wii U which in turn lead to the team bringing the entire project over to the system for a full release. The visuals pack an amazing punch and I honestly cannot think of a better title to bring to Nintendo's first HD console. While full details have not been revealed, Nintendo has given us some juicy tidbits on what to expect. The Wii U will also be receiving a completely original Zelda title as confirmed by series head Eiji Aonuma but that game is set to be a new experience that challenges the conventions of the legendary franchise. The team is setting out to break up the linear structure which I would assume means more of an open world structure reminiscent of the NES original as well as breaking away from being a completely solo experience. While I don't think this means the game will suddenly turn into WoW, I wouldn't be surprised to see features similar to Four Swords Adventures or something akin to Raid Mode in Resident Evil Revelations, just a thought. 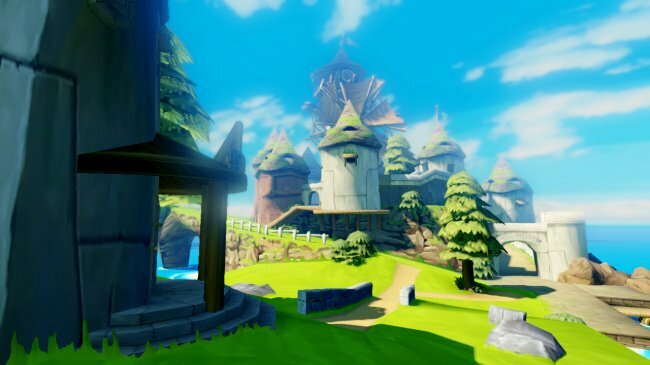 This massive overhaul of the franchise won't be easy and will take time which was a driving force behind the idea to release The Wind Waker HD this Fall. As a die hard fan of the series, I couldn't be more excited! What are your thoughts on Wind Waker HD? Let us know in the comments below.